Anti-Slip Tapes with sandgrit surface with acrylic solvent adhesive. Our hook and loop fastners are available separately, in black and white, and come in 25 metre rolls. Self-adhesive hook and loop tape. 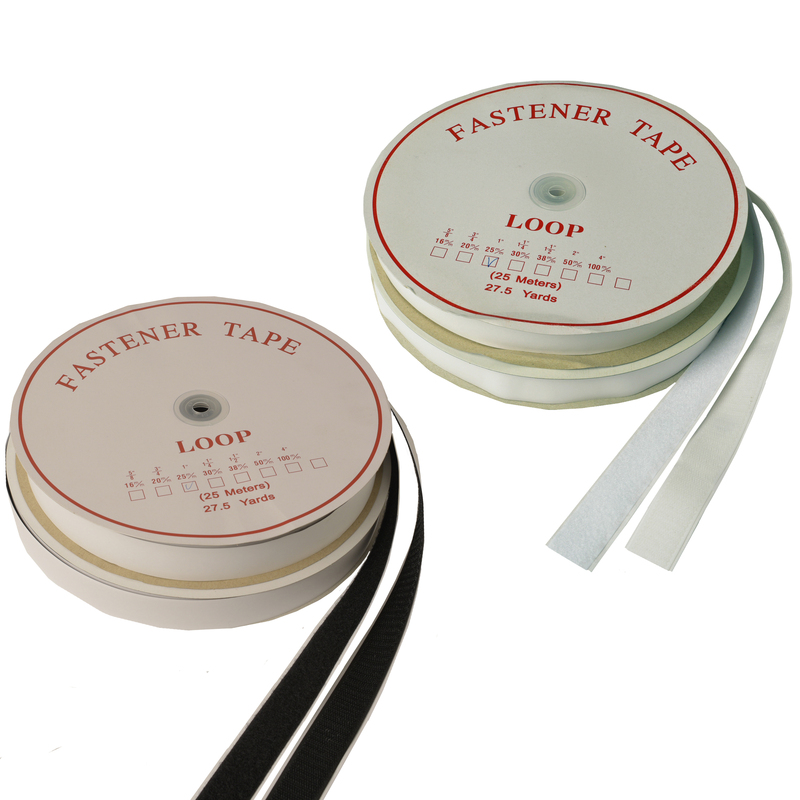 Hook tape rolls and loop tape rolls sold separately. Available in black and white. 25mm x 25m rolls. 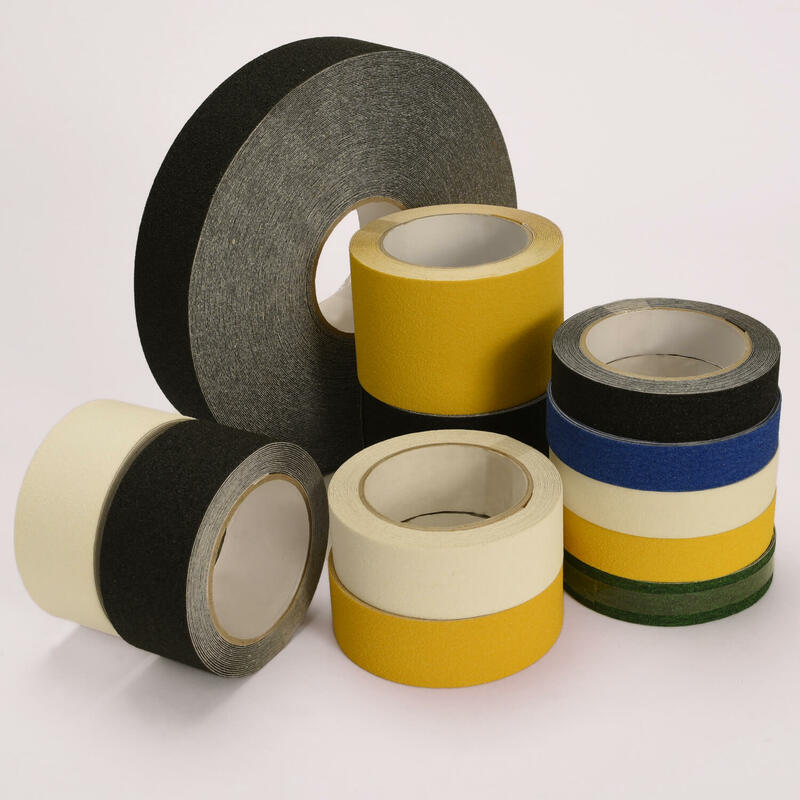 Our anti-slip tape is used widely in industrial & commercial set ups, such as on stairs, wet factory floors and in other preventative/safety related applications. Available in fine, medium & heavy grades. Colours: black, white, red, blue, yellow & green.